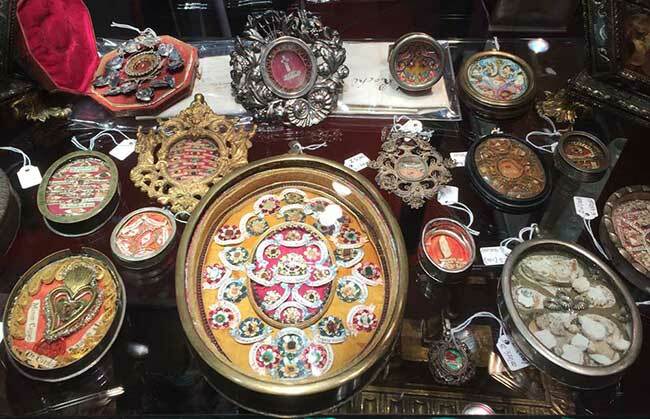 A group of Catholic reliquaries, which supposedly contain tiny pieces of the remains of saints or their clothing, made in the 18th and 19th centuries. 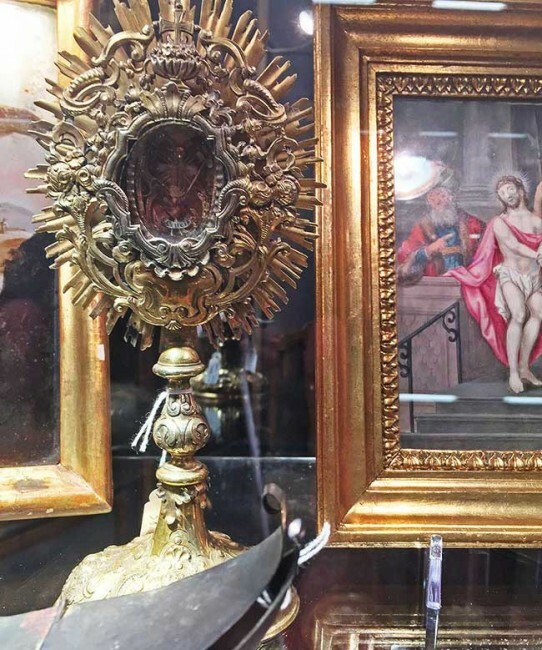 This elaborate reliquary supposedly contains toothpick-sized pieces of the actual wooden cross Jesus Christ was nailed to. 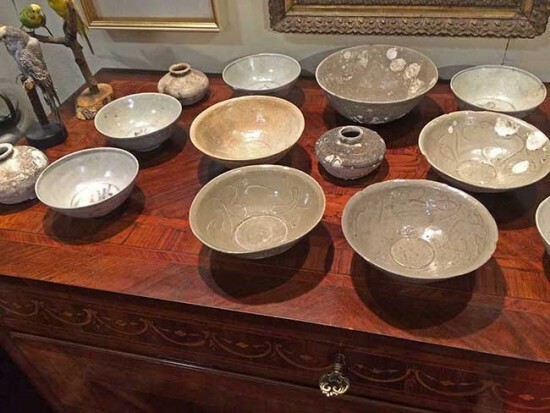 These ceramics made in China around the 11th century were discovered in the ruins of a shipwreck in the Philippines. Some are in pristine condition because they were stacked one top of one another, while others show marks from the growth of undersea animals. 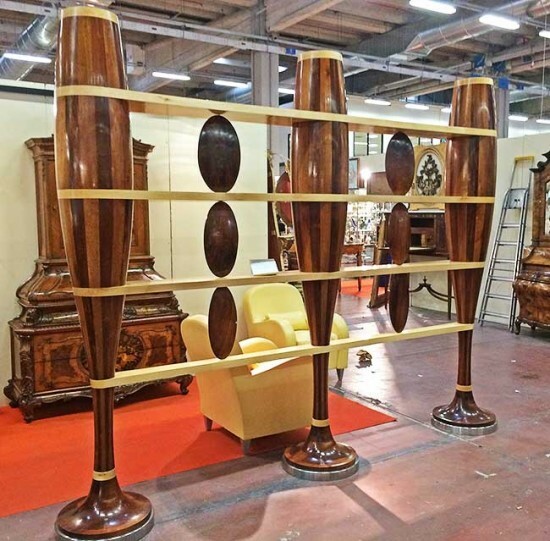 This eye-popping Mid-Century Modern room divider might have been used in a home or a tiki restaurant. 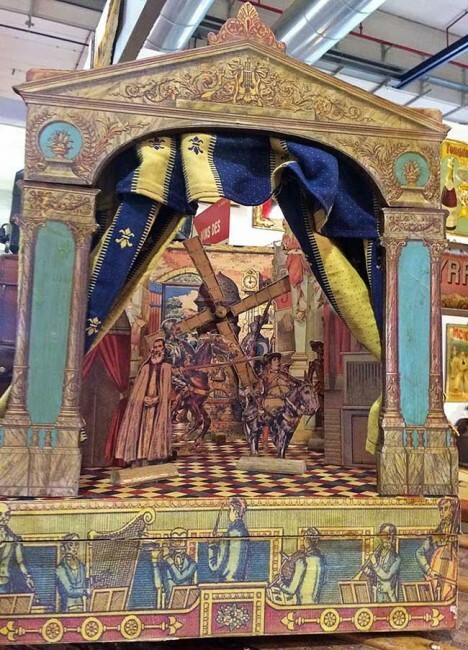 English toy theatres from the 19th century depicted real actors of the day. 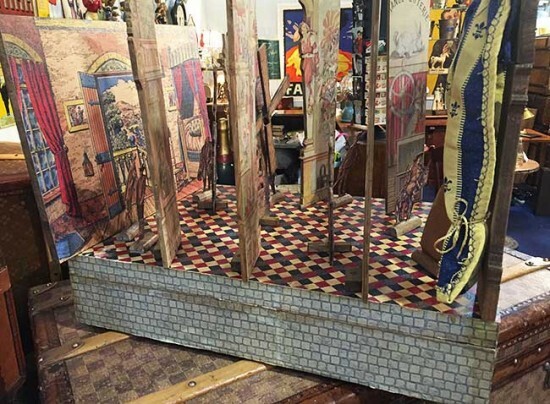 A side view of the toy theatre reveals several delicate layers. A child or adult would buy lithographed sheets and glue them to card stock to make the toy actors and scenery. 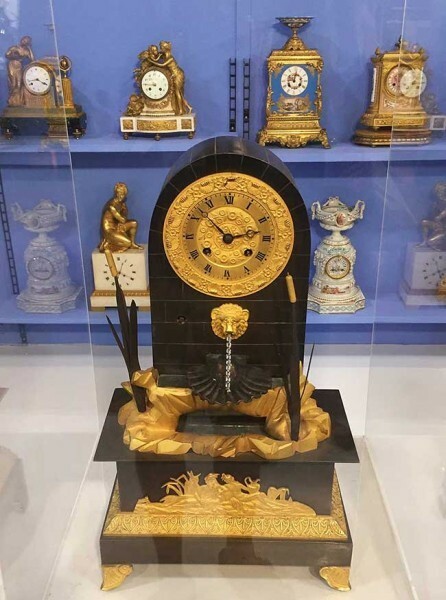 This French clock from the 1830s features a twisted glass rod to imitate the pouring water of a fountain. 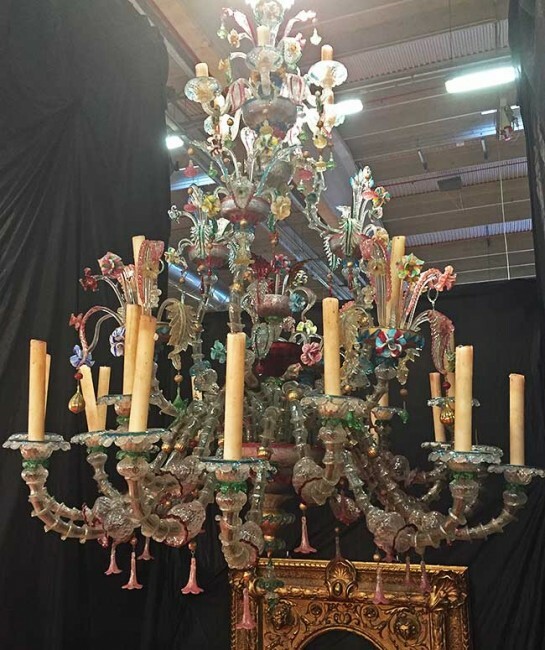 This gigantic Murano-glass chandelier is still fitted with candles, the way it would have been used when first crafted in the early 19th century. 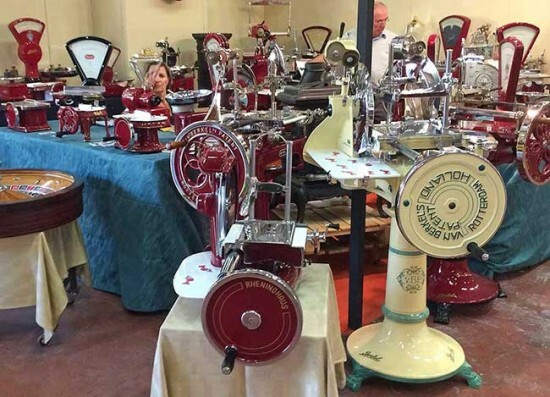 A selection of vintage Berkel meat slicers from the mid-20th century. 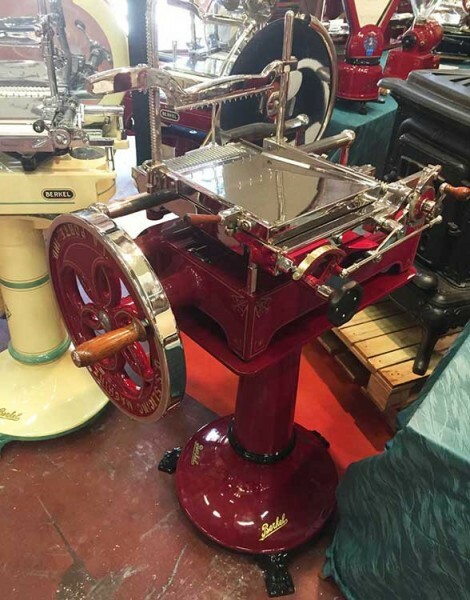 These vintage slicers are still highly regarded among butchers today, particularly for cutting Parma's famous prosciutto. 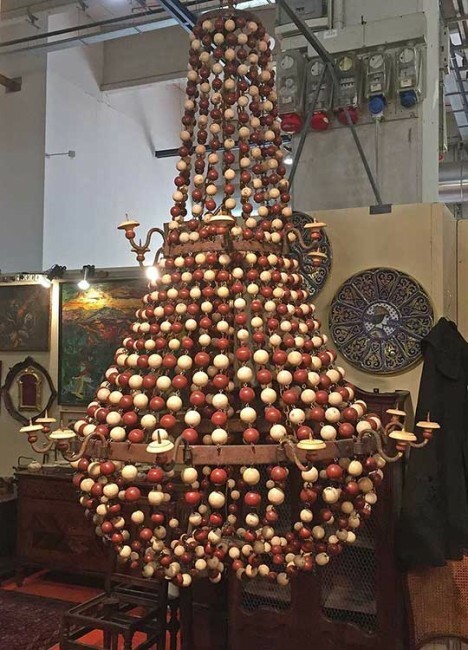 This chandelier decorated with red and white wooden balls was meant to hang outside during celebrations of Italian unity after the country was established in 1871. 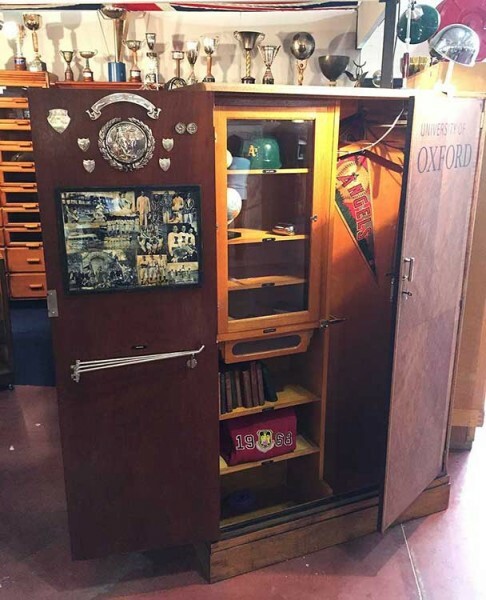 These wardrobes from the early 20th century were originally used in dormitories at private universities or in cabins on passenger ships. 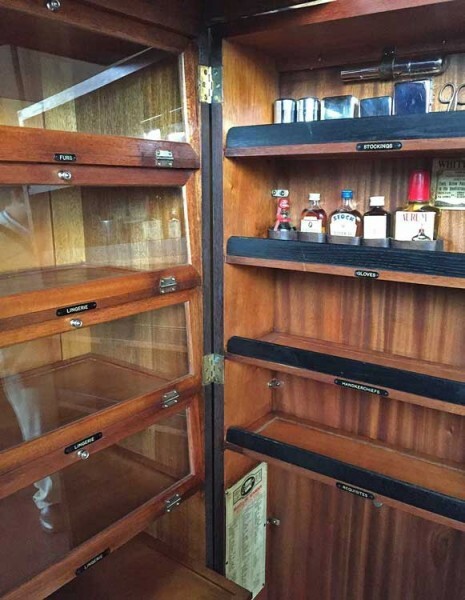 This wardrobe interior contains original labels designating space for furs, lingerie, stockings, gloves, handkerchiefs, and requisites. 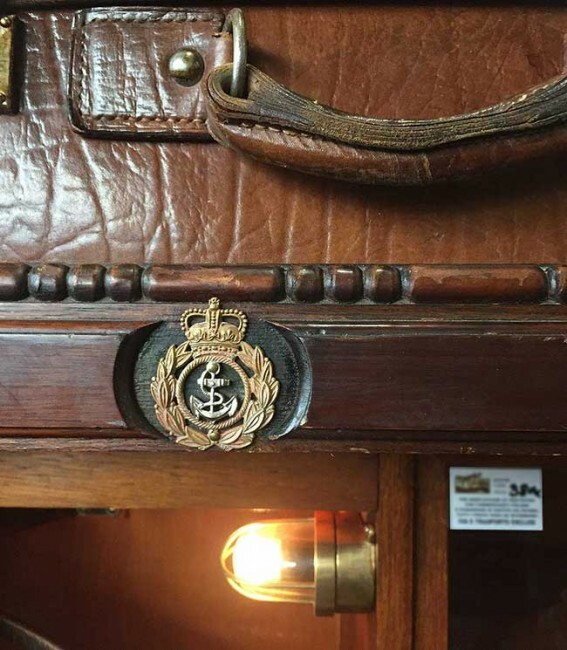 A nautical detail on one of the wardrobes from an ocean liner. 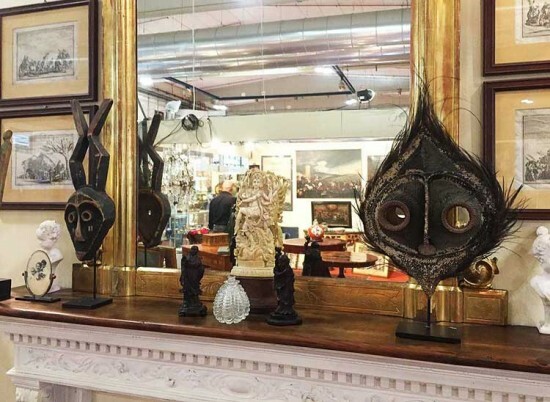 During the time of exploration, African ceremonial masks, like these two, were brought back to Europe to be displayed in wunderkammers. It wasn't until Picasso's Cubist phase that Europeans started to see them as art. 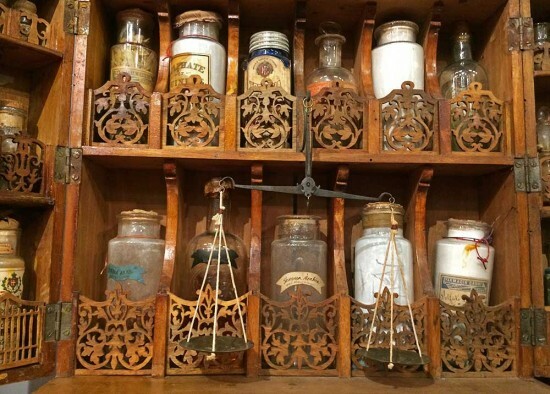 This case of apothecary jars holds the remedies people relied on before modern medicine. 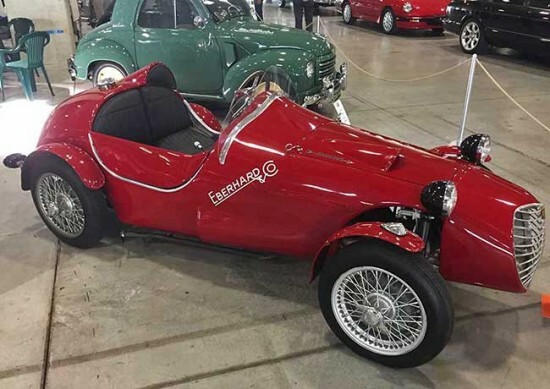 This 1939 Fiat race car was designed to reach a high speed of around 100 kilometers per hour (or 62 miles per hour). 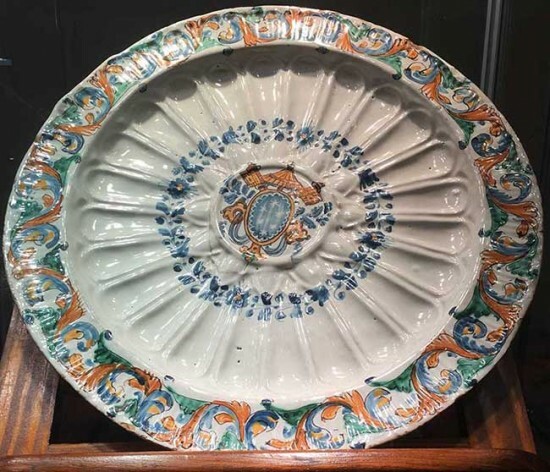 This late 17th-century majolica plate features the seal of a Camerlengo, a Vatican administrator who oversees the Catholic Church during the Interregnum, or gap between one pope's death and the election of his successor. Supposedly, the Vatican declined to acquire this plate because the Camerlengo was also the son of a prior pope. 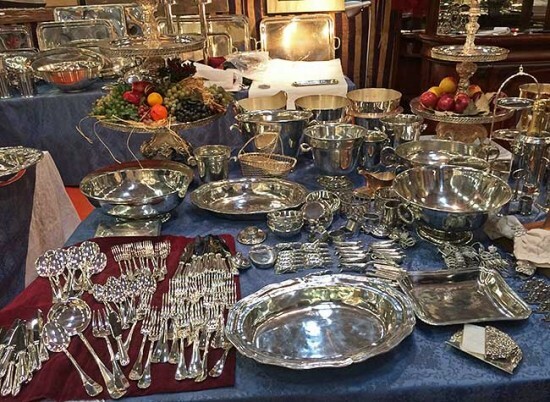 This extensive set of antique silver serving ware came from a cruise ship. 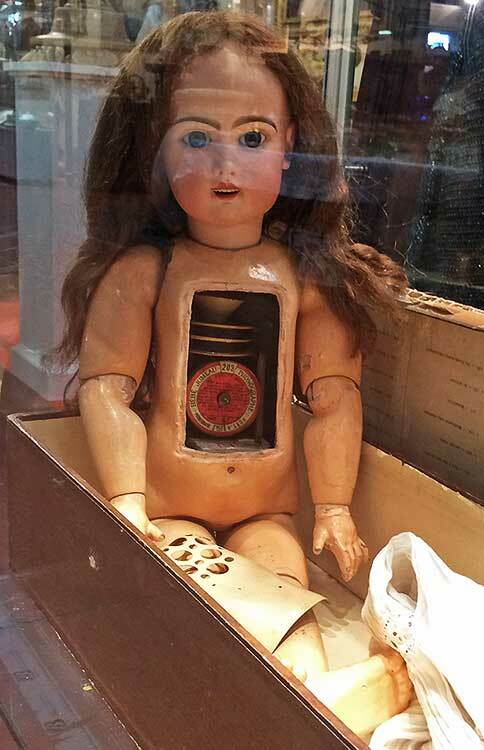 A Bebe Phonographe bisque doll by Emile Jumeau sits in a display case. The talking doll was introduced in 1895 and operates through an internal wax cylinder. 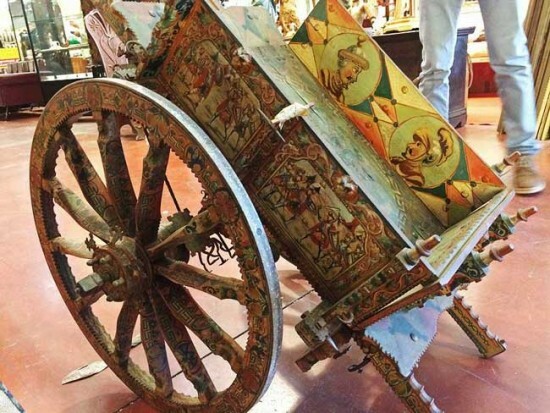 Sicilian carts, or carretto siciliano, are horse- or donkey-drawn carts from the 19th century painted with figures from history and folklore. The Mid-Century Modern room divider is stunning, I would put that in my house anyday.